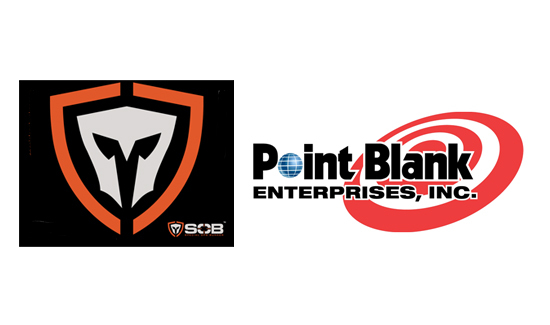 POMPANO BEACH, Fla. — Representatives from Point Blank Enterprises and Special Ops Bunker have agreed to an exclusive global marketing agreement to offer Special Ops Bunker products through the Point Blank Enterprises global network. Point Blank Enterprises is currently the premier source of body armor and personal protection systems in the world, with 44 years of experience providing innovative personal protection products to the public safety community and military. The agreement is a result of Point Blank’s effort to meet every potential armor protection requirement for today’s tactical environment. The first Special Ops Bunker was created in 2007 at Daw Technologies, LLC, a manufacturing and technology company in Salt Lake City, Utah. 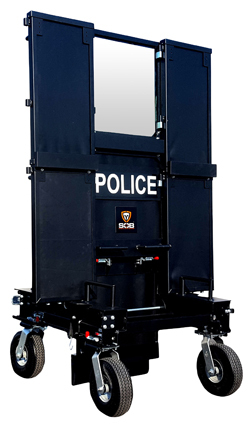 Maximum protection in a versatile design: SOB Defense systems incorporate an optimal balance of protection, mobility, and versatility for real world operations. In an ideal world, an ops team would have impenetrable, mobile, weightless defense systems to protect them from every possible form of danger. SOB Defense Systems fill the gap between body armor and armored vehicles. Situations often arise where operators need the confidence and security of head-to-toe ballistic coverage. SOB Defense Systems offer protection when and where it is needed so that the heroes return home safely after every operation. Don Thomason, Vice President of Special Ops Bunker stated, “The need for advanced protection is at an all-time high and we are proud to offer our innovative solutions through the recognized leader in the industry, Point Blank Enterprises.” Special Ops Bunker will continue to produce products under the known brand of SOB™ and develop enhanced solutions for the future.